The Street Lighting group oversees the installation, maintenance and repair of all (80,000 +) street lights throughout the city of Baltimore. In addition, this group installs and maintains lighting and electrical services at city festivals, events and departmental facilities. The Roadway Maintenance group maintains and preserves 2,000 miles of roadways and 800 miles of alleys. 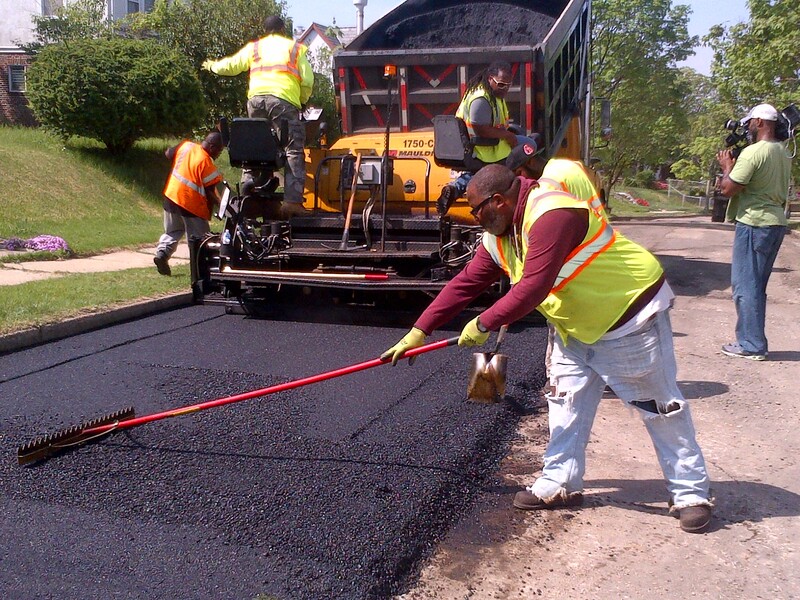 This includes potholes, street repairs, curb repairs and handicap ramps. This group also maintains right-of-ways, medians and transportation properties. In addition, this group is responsible for the City's snow removal plans and the placement and maintenance of all salt boxes. The Bridge Maintenance group maintains the City's 300 bridges, which includes 2 drawbridges and 17 pedestrian bridges. This group is also responsible for the installation, maintenance and repair of all public benches. In addition, this group installs, maintains and repairs all guard rails and fencing under the jurisdiction of the Department of Transportation. The Facility Maintenance group maintains and repairs all of the Department of Transportation facilities. This group also performs carpentry functions including the fabrication of salt boxes, "street closed" barricades and bench boards. The Inner Harbor Maintenance Division is responsible for all maintenance and repairs of lighting, electrical, masonry, landscaping, plumbing and carpentry of the Inner Harbor area and promenade as well as the city owned piers. The Division also maintains and repairs Hopkins Plaza, Charles Center and Rash Field as well as all of the fountains located throughout the city. The Landscape Maintenance section is responsible for the maintenance and upkeep of Baltimore City’s right of ways and traffic triangles. Contractors hired by DOT maintain the median strips throughout the city. They mow, trim and mulch the right of ways as well as tree wells throughout the City and along the City’s designated gateways. They also assist the Department of Recreation and Parks in the mowing of a number of passive parks and the Department of Housing and Community Development with the maintenance of properties assigned to DOT for treatment. Landscape Maintenance is also responsible for the placement and filling of the salt boxes located throughout the City as well as snow removal operations during the winter months. This facility fabricates and installs thousands of signs annually. Those signs include traffic and parkway signs and procedural signs for identification of city facilities. In addition, they develop stickers for stadium parking signs, parking passes banners etc. Specialty assignments include painting on the roadway for the Preakness and Baseball season. This facility is also responsible for the installation of roadway markings and crosswalks.